You've seen me using the Canon PIXMA iP8720 Crafting Printer here on my blog, on TV and on My Craft Channel. It's my favorite crafting tool that I use daily. And love that I can print my 4x6" photos all the way up to 13x19". This is the perfect Christmas gift for every crafter out there. So be sure to share this link with your friends and family. 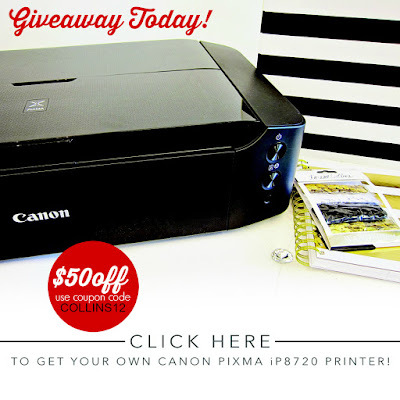 But why not enter to WIN the Canon PIXMA iP8720 Crafting Printer too! Better to BUY your printer and WIN one for a friend!